Melt the butter in a saucepan over medium heat. Reduce heat to low and add corn syrup, brown sugar, vanilla and salt. Stir until smooth, then remove from heat. In a large bowl, stir together oats and pecans. Pour corn syrup mixture of over oat mixture and stir to coat. Spread evenly on a large rimmed baking sheet or in a jellyroll pan and bake at 325 for 25-30 minutes, stopping every 10 minutes to stir. Granola will not look dry at this point. It will harden as it cools. 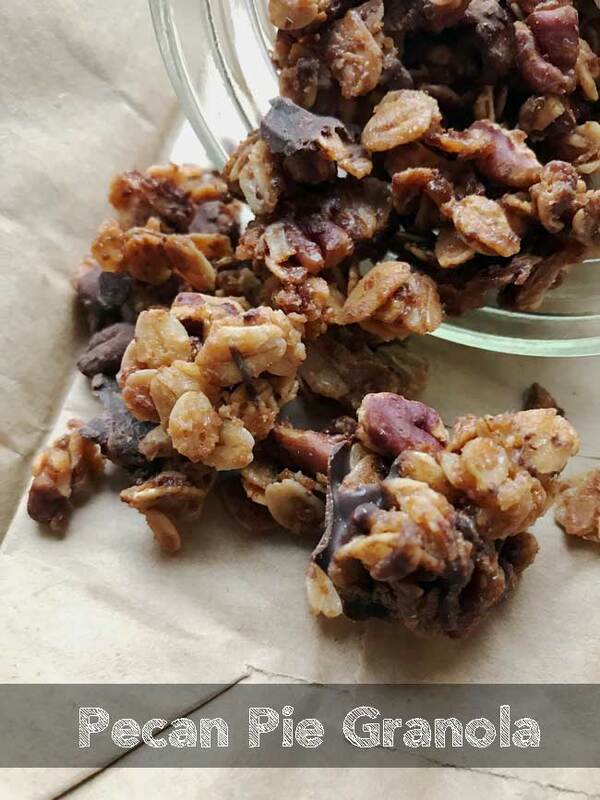 While the granola is cooling, sprinkle chopped chocolate over it so that bits of chocolate melt onto the granola. When granola is cool, transfer to the freezer for about 10 minute or just long enough to set the chocolate. Break it into pieces and store in an airtight container.